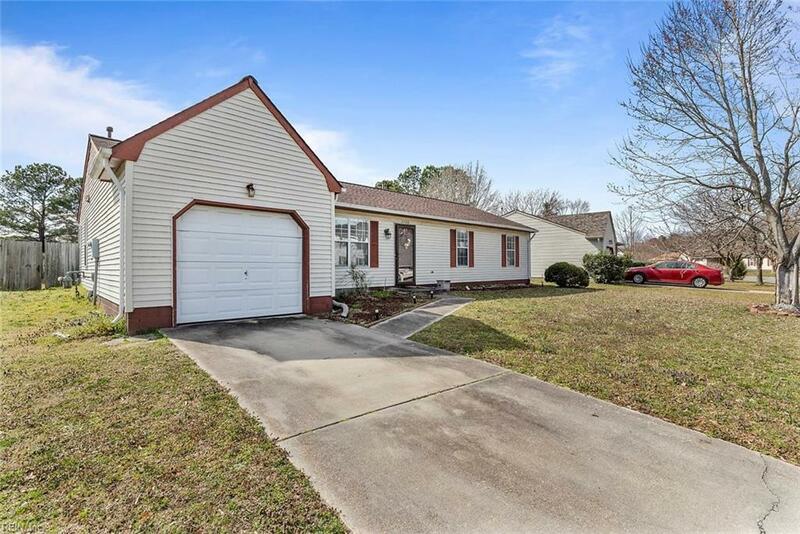 2709 Spinners Way, Chesapeake, VA 23323 (#10245293) :: Abbitt Realty Co. Buyers stop here first and make it a short day! 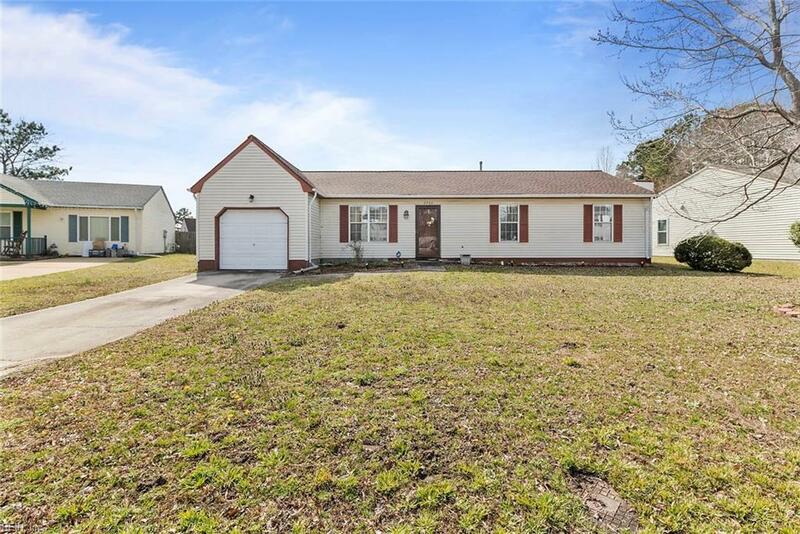 This home has been meticulously kept with plenty of upgrades to include new roof, new counter tops, new carpet throughout, new flooring that has a beautiful shine, fresh paint throughout and more! Enjoy two large living spaces, one that opens up to the kitchen and the fireplace for a open concept and the other near dining room so you can entertain and enjoy family. Or get ready to enjoy a very large fenced backyard space where the possibilities to have a pool, trampoline, store your boats or campers, or a massive storage shed is up to you. No HOA/or POA fees! 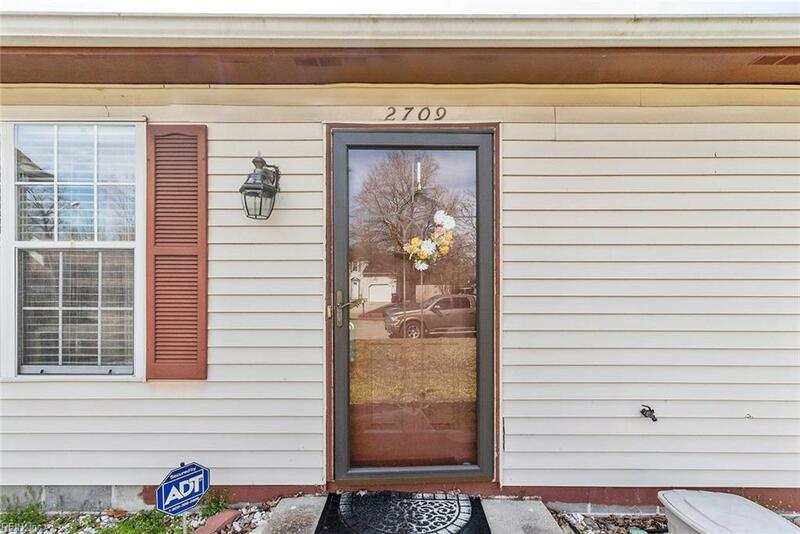 Enjoy home ownership in this quiet and friendly cul-de sac. 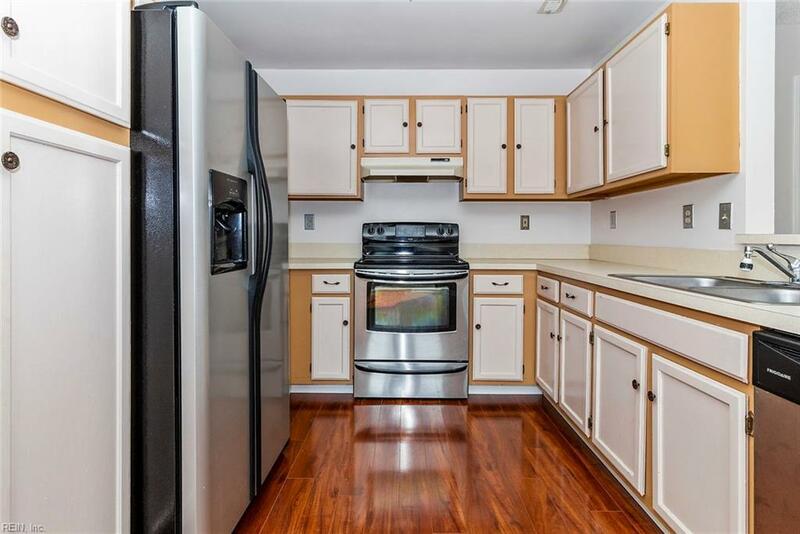 Home near major highways, Portsmouth Naval, downtown Norfolk and easy access to Greenbrier Mall, shops and restaurants. Motivated seller, contact us directly for a showing today! © The listings data displayed on this medium comes in part from the Real Estate Information Network, Inc. (REIN) and has been authorized by participating listing Broker Members of REIN for display. REIN's listings are based upon Data submitted by its Broker Members, and REIN therefore makes no representation or warranty regarding the accuracy of the Data. All users of REIN's listings database should confirm the accuracy of the listing information directly with the listing agent. © 2019 REIN. REIN's listings Data and information is protected under federal copyright laws. Federal law prohibits, among other acts, the unauthorized copying or alteration of, or preparation of derivative works from, all or any part of copyrighted materials, including certain compilations of Data and information. COPYRIGHT VIOLATORS MAY BE SUBJECT TO SEVERE FINES AND PENALTIES UNDER FEDERAL LAW. REIN updates its listings on a daily basis. Data last updated: 2019-04-22T23:35:33.373. All or a portion of the multiple Listing information is provided by the Central Virginia Regional Multiple Listing Service, LLC, from a copyrighted compilation of Listings. All CVR MLS information provided is deemed reliable but is not guaranteed accurate. The compilation of Listings and each individual Listing are © 2019 Central Virginia Regional Multiple Listing Service, LLC. All rights reserved.The information being provided is for consumers' personal, non-commercial use and may not be used for any purpose other than to identify prospective properties consumers may be interested in purchasing. Data last updated: 2019-04-22T23:56:59.353. © 2019 Williamsburg Multiple Listing Service, Inc. All rights reserved. The data relating to real estate for sale on this website comes in part from the Internet Data Exchange Program of the Williamsburg Multiple Listing Service, Inc. Real estate listings held by brokerage firms other than Abbitt Realty Co. are marked with the Internet Data Exchange logo or the Internet Data Exchange brief/thumbnail logo and detailed information about them includes the name of the listing firms. All information is deemed reliable but is not guaranteed. IDX information is provided exclusively for consumers' personal, non-commercial use and may not be used for any purpose other than to identify prospective properties consumers may be interested in purchasing. Data last updated: 2019-04-22T23:35:19.097.